Black was provided by my trusty Rimmel Lasting Finish Pro in Black Satin, which I think sadly is drying up because it is getting a little chunky. I'm considering revival drops but I've had it for so long it might not be worth it, but at the same time it's such an opaque black that dries super quick, we'll see. For the neon colors I used butter London in Cheeky Chops (yellow), Essie in Bachelorette Bash (pink), and Essie in The More The Merrier (green). 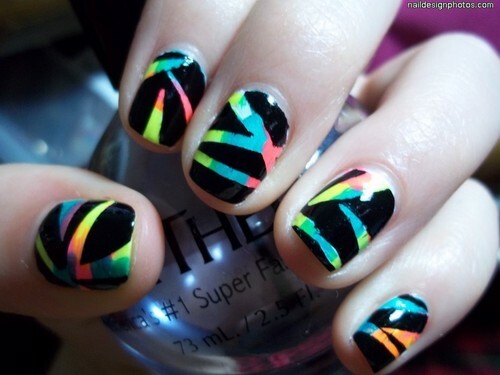 I love the neon colors combination and they definitely have a future in my nails, I'm thinking a chevron design or ombre will be excellent!